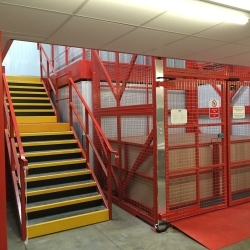 If you are looking for self storage Broxbourne, Security Self Storage can offer you a short or long term storage solution. Storage units range from 16 sq. ft. to 250 sq. ft. Only the customer holds the key to the unit, which can be accessed as often as you like. The storage is flexible and if your needs change, you can easily change units. At various times in your life you may find that you need to call in additional storage provision. This could be when you are decorating or renovating your home. Maybe you are downsizing your accommodation but wish to keep certain items of furniture in the short term? You may be relocating to another country but will be returning home at the end of a work contract, and need to store your personal possessions. It makes perfect sense at these times to look at Security Self Storage as an affordable and secure way of storing your personal belongings. Planning your move as early as possible is definitely beneficial, as there are a host of things that need to happen to ensure your move takes place on the day or days you require. One of your first tasks should be to arrange a written quote from an established removal firm and if you require personal or business self storage, now is the time to arrange this. Security Self Storage will be delighted to show you around the secure storage site and to answer any questions you might have. It goes without saying that your belongings are precious and should be handled and moved with care throughout the entire moving process. You will want to know that your worldly possessions will be treated with respect from the moment the movers arrive until the last item is placed into your new home or into a secure storage unit. 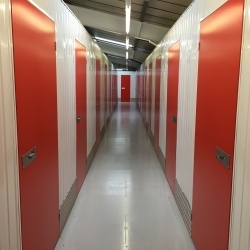 If you decide to take advantage of storing your belongings at Security Self Storage, we can offer storage units ranging from as little as 16 sq. ft. to 250 sq. ft. and you will be able to stay for as long or short a time as you like. White and Company have been providing a removals service for over 140 years and are founder members of the British Association of Removers, FIDI & OMNI. White & Company also provide specialist removal services to locations around the UK, Jersey and Guernsey. We work tirelessly to provide the best possible service and peace of mind for those looking to move home. Once you have decided to use a self storage facility, you will want to make sure your possessions are carefully packed to ensure they remain in perfect condition. 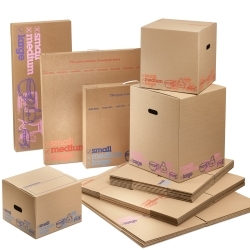 At Security Self Storage, we can offer a wide selection of packaging material to protect your items. Our Box Shop has an excellent range of boxes, tape, bubble wrap and padlocks to protect your goods. The housing market in Broxbourne is very active with a wide range of properties available for rent and sale. You can expect to pay an average of £449,303 for a property in this area. The highest value streets are Carnaby Road and Hipkins Place and there are currently 41 properties for sale in this area.